Make your big day shine. 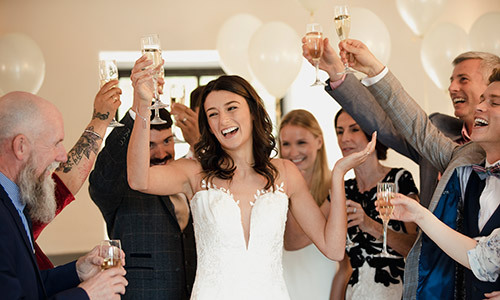 At Cambridge Red Deer Hotel & Conference Centre, the only all‑inclusive four‑star property in central Alberta, you and your wedding guests will celebrate in elegance. Soft chandelier lighting, elegant chairs, a grand ballroom and luxurious guestrooms set the stage for the perfect start to your new chapter in life. 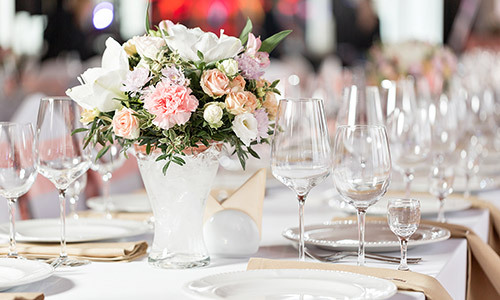 Let our professional wedding coordinator take the stress out of your Red Deer Wedding, handling every detail from menu selections to table linens. Our impeccable four‑star service makes every guest feel special, and our award‑winning culinary team will surpass even your highest expectations without breaking your budget. Keep it simple. 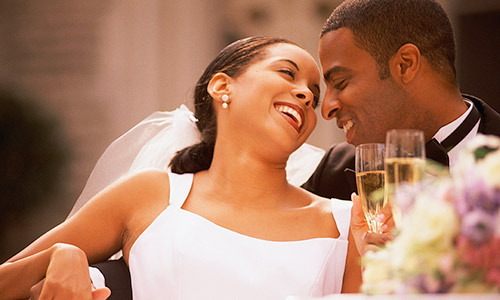 Plan your rehearsal dinner, ceremony, reception, after-party, stay and brunch all in one place. Entertaining guests for the weekend is a breeze with three onsite restaurants plus a night club, bar and VLT lounge. Ask us about group discounts on our luxurious guest rooms and suites. Make your first meal together memorable. The award‑winning culinary team at Cambridge Red Deer Hotel & Conference Centre will design a wedding menu to complement the love you share with your guests on this special day. We are happy to accommodate a wide range of dietary needs. You can choose from a selection of our catering menus, or work with our renowned executive chef to create a customized menu that fits your vision to a tee. Contact our wedding and special events coordinator at sales@cambridgereddeer.com or 1.403.755.1150 to start planning your day or to book a free tour. View our meeting rooms capacities and floor plans.